AOC and Philips recently launched new high-performance display monitors for home, businesses, and even gaming in the Philippines. 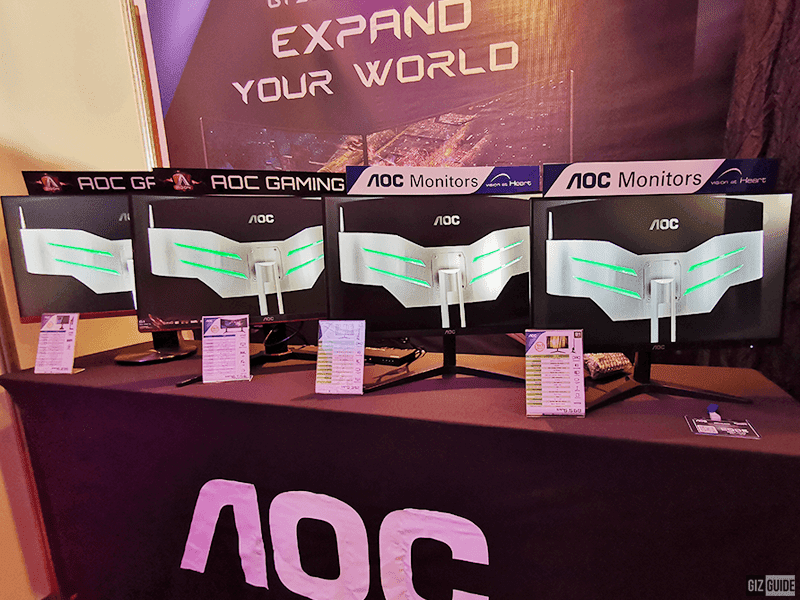 New AOC monitors in the Philippines! AOC released the G2590PX and G2790PX for gamers. They will come in 25-inch and 27-inch panels. Both has a TN panel with slim bezels, 1ms response time, and 144Hhz refresh rate with AMD FreeSync technology for smooth and artifact-free viewing experience. It also has low input tag control to decrease delay between video source and display and a height adjustment stand with swivel for different angles. AOC also introduced the G1 series, the C24G1 and C27G with 1.5 mm slim bezels and 5 mm black screen border. They are the curved monitors of the company with VA panel. These monitors also has 1ms response time and 144Hz refresh rates for gamers. AOC also announced the B1 series, the 22B1HS and C24B1H which are available in flat and curved versions. It promises affordability without compromising looks and features. It comes in 21.5-inch and 24-inch panels with Screen+ software that splits the PC workspace into four self-contained panes. AOC also boasts that these monitors are flicker free to reduce eye strain. All of the models has a software for power saving mode. On the other hand, Philips announced the V Line 223V7QHSB all-rounder. It has a slim design, IPS panel for excellent viewing angles, anti-blue light technology, great color accuracy, and brightness. Philips also introduced the E Line, the 248EQHSB, 278E9QHSB, and 328E9QJAB. They are available in 24-inch, 27-inch, and 32-inch panels. These monitors also has FHD in quality and Ultra-wide color technology. The monitors uses VA LED display with an advanced multi-domain vertical alignment technology to give viewers with super-high static contrast ratios. It is for vivid colors and bright images. The monitors are all suitable for photos, web-browsing, movies, gaming, demanding graphical applications, and more. They are also equipped with AMD's FreeSync technology and are HDR certified. The AOC G2590PX is priced at PHP 16,236. The C24G1 is priced at PHP 16,596. The C24B1H is priced at PHP 9,312. The 22B1HS is priced at PHP 5,568. For Philips, you can get the 436M6VBRAB for PHP 36,999. The 328E9QJAB is priced at PHP 15,876. The 328E9QJAB is priced at PHP 15,876. The 248E9QHSB is priced at PHP 9,312. 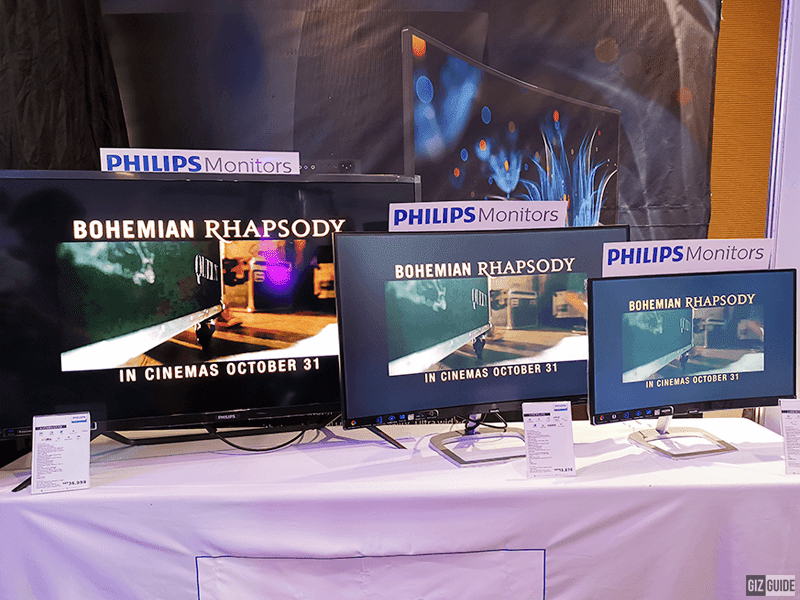 The AOC and Philips monitors are available nationwide. You can find them at PC Express, PC Worx, Octagon, Thinkingtools, Computerworld, ThinkPC, Vivocom, and PC Chain. 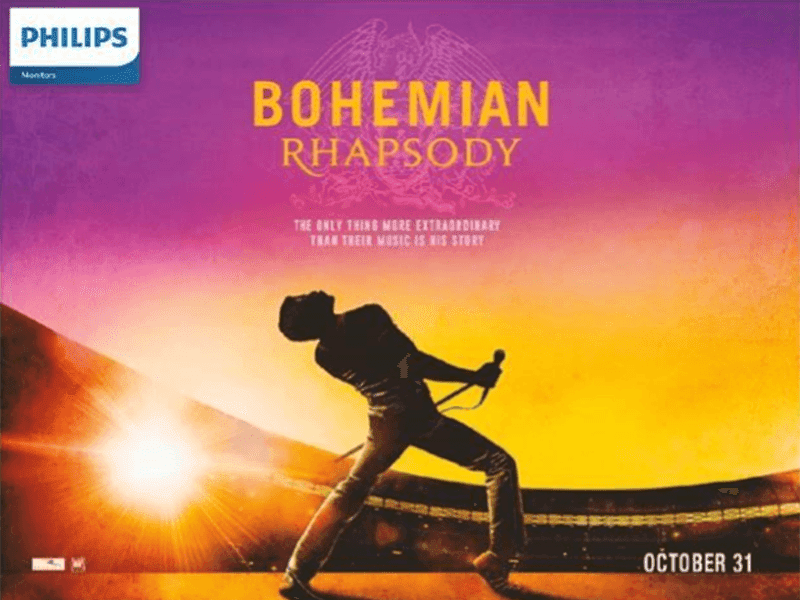 In addition, Philips also announced their collaboration with 20th Century Fox for the showing of Bohemian Rhapsody in the Philippines starting October 31, 2018.